Neuromation an ERC20-based token seeks to deliver AI models to various industries using neural networks. The principal goal of the Neuromation is to become a hub for AI services and international business, by taking a novel approach to combining supply and demand for each area on a large scalable platform. The main token sale for Neuromation (NTK) began Nov. 28, 2017 and ended Jan. 1, 2018. It raised $71.6 mln during that time. Token prices during the sale were set at $1.19 per token. When NTK came to public markets, it debuted on Feb. 20 at $0.66 per token, opening at a loss of -44 percent from its token sale price. It has been on a continued decline down to $0.08 at the time of writing. CoinMarketCap ranks it at 456 with a total market cap of $6.98 mln and daily trade volumes around $1 mln. Running out of crypto miners? There are more and more projects based on mining in the crypto industry. Neuromation is also a mined token, so this could be a potential issue for not only them but the entire cryptosphere of minded tokens. This is not about mining of cryptocurrency, but about attracting miners with their equipment to the platform to use their capacities for the project. Therefore, there is the risk of mining competition, which can greatly affect the viability and development of the project. Moreover, the documentation has no information about global marketing strategy, which is why it is not clear how the developers will attract miners to their platform. This and the declining token price are the big risks that face the token as of now. Professional entrepreneur from the online advertising industry. 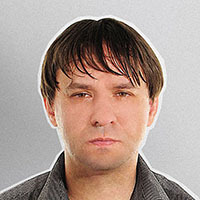 Goltsev has more than 20 years of experience developing software and products. Former CEO and founder of the innovative advertising network AdoTube. Yashar is an experienced entrepreneur who has built transformative businesses in the AI, medical technology and IoT space. His work at Proteus Digital Health was recognized by Wired as one of the top 10 technological breakthroughs of 2008 and as a Technology Pioneer by the World Economic Forum. He has been recognized in Wired, Entrepreneur, WSJ, CNET, among others. He holds 30 patents and patents-pending and a PhD in Bio-engineering from UCSD. 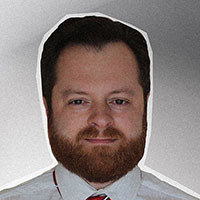 More than twenty years of managing complex software development projects with an emphasis on computer graphics, 3D engines, production of CGI and virtual reality. Has advanced degrees in mathematics and graphic design. Where to next and when? While there is no roadmap on the website, the news and blog section offers little information on what the company is doing. There are no public repositories on GitHub to check out the platform development, so that does raise some red flags. The recent Reddit AMA offers little insight to a timeline or how the actual technology works or when it is launching. Plummeting prices, no GitHub, and no roadmap leaves open a lot of questions. While so say it is a great investment and look how much was raised during the ICO, the writing is on the wall, with a small market cap and no road map, it appears that Neuromation is just treading water until the next major announcement garners positive attention.